On the occasion of the publication of Dan Winters's first monograph, Periodical Photographs, Aperture Foundation is pleased to present an evening with this top editorial photographer, who has contributed to some of America's most prestigious magazines, including New York, Esquire, Rolling Stone, and the New York Times Magazine. With an emphasis on his iconic portraiture, Periodical Photographs considers the body of work of a photographer whose unique sensibility is both adaptable and instantly recognizable. 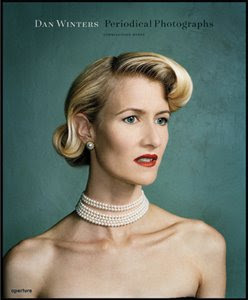 The book includes Winters's definitive portraits of some of Hollywood's most photographed A-listers (Gwyneth Paltrow, Kate Winslett, Denzel Washington, and Leonardo DiCaprio) and music superstars (Bono, Eminem, and Willie Nelson). His voracious passion for the quirky and creative also draws him to visual artists, scientists, architects, and everyday, extraordinary Americans. One of the last additions to the book is a portrait of President Barack Obama taken in San Antonio, Texas, in March 2008 for Time magazine. Designed by Scott Dadich, award-winning creative director of Wired magazine, and with a preface by Lynn Hirschberg, editor-at-large at New York Times Magazine, Periodical Photographs showcases a photographer at the top of his game.